Is it just me, or is the summer speeding by?! I know the "official" start of summer was just a few weeks ago, but fall seems to be inching nearer and nearer. Not that I'm complaining one bit (it's my favorite season), but I would love a few more pool days and nights spent on my rooftop. Summer is just so easy, and fun. There's always a ton of events, cookouts, vacations, trips, etc. happening. When it comes to summer fashion, it's just as simple. You don't need a lot of layers, and your outfit is usually something quick and easy you can throw on. That's where this outfit comes in. It may not seem like the "easiest" or most "simple." But it really is. I've had this J.Crew button down for several years. It's so easy to wear, because you can pair it with just about any sort of bottom. I've worn this top to work, out to dinner, with shorts for a casual afternoon of shopping. The options are endless. I have it in white too, ha! I most recently paired this top with another J.Crew favorite of mine. This tassel skirt. I snagged this skirt right before leaving for Charleston. It was the perfect outfit for a day of sightseeing. The skirt was light and breezy, and I loved the two pieces together. 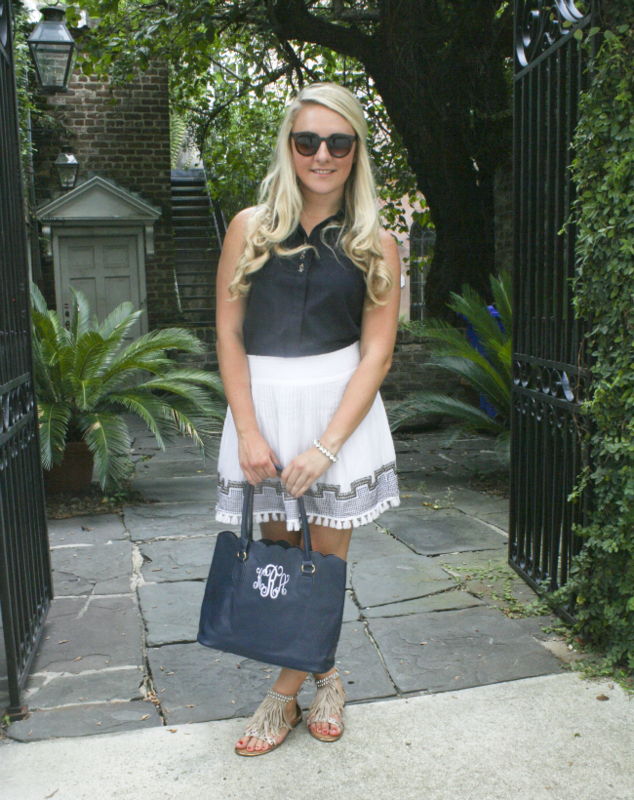 I added a fun monogram bag + tassel sandals, and my outfit of the day was complete. It really was that simple to put together. Don't you just love when that happens?! I love your monogrammed tote! I've been dying to get my hands on one! Thanks Amanda!! They're actually on sale today too!! Neeeed this skirt in my life! Um. All of this. Amazing. And your tan = flawless. 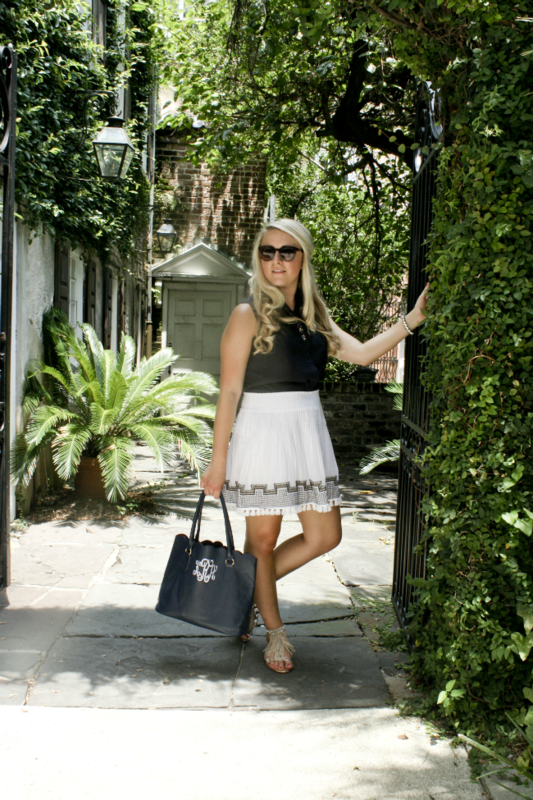 Looks like you had such a good time in Charleston, loved following along!